DLR (German Aerospace Centre) is a German non-governmental, non-profit research organisation. 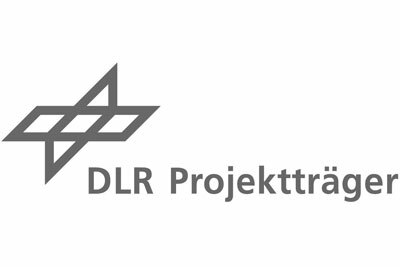 Its Project Management Agency DLR-PT is mandated by the Federal Ministry of Education and Research (BMBF) and other ministries with regard to the implementation and management of governmental programs for research funding. Within the life sciences, the DLR-PT “health” department manages the areas of clinical research and biomedical research for BMBF in several governmental programs as well as various international projects and initiatives aiming to foster research infrastructure as well as internationally competitive research. Within the field of diet, nutrition and health DLR-PT is managing a number of relevant research programs and activities on national and international level. DLR-PT is actively contributing to the European Joint Programming Initiative “A Healthy Diet for a Healthy Life” (JPI HDHL) on behalf of BMBF in various roles. Since DLR-PT is coordinating the ERA-Net-Cofund on INtesTInal MICrobiomics, Diet and Health (HDHL-INTIMIC) under the umbrella of JPI HDHL, DLR-PT has been mandated to act on behalf of the JPI HDHL in this CSA. All activities in this CSA will be performed in close consultation with the JPI HDHL Management Board to ensure the coordination between both initiatives.